GoXtra News: Ntsiki Mazwai will host "ex-gangster" Don Mattera! 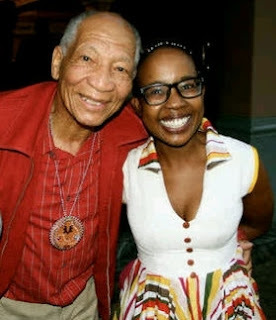 Ntsiki Mazwai will host "ex-gangster" Don Mattera! Ntsiki "Streetqueen" Mazwai brings all the legends to the Mama Said Sessions! The Streetqueen is simultaneously proud and humbled to be dishing up a Sunday-special-and-a-half in the form of larger than life monument Tata Donato Francisco Mattera, aka Bra Don, on the last day of the Human Rights Month. Yebo-yes, memory is the weapon and Bra Don, icon, poet, political activist, author, journalist, ex-gangster, motivational speaker, community builder, doctor in literature, involved in 143 community organizations, and patron of some 50 trusts, is sharing his incomparable life experiences with us. We will go in conversation with yesterday through this warrior who uses the word as his sword. Bra Don, a true and exceptional South African icon, will enlighten, inspire and motivate the upcoming artistic generation with his signature wit. Mama calls on all her sistas to come and celebrate this Mzansi Grootman with no equal; bring the family, the neighbors, the Easter-bunny because this is a once in a lifetime opportunity no doubt. Another ingredient of the Streetqueen’s special brew is the open mic session where all can strut their stuff backed by the live house band while the DJ is on duty to liven things up. The Mama Said Sessions are a mixed masala brewed by Ntsiki Mazwai; they provide a soulful, funky and a safe environment where young artists can showcase their talent and leading artists share their knowledge. 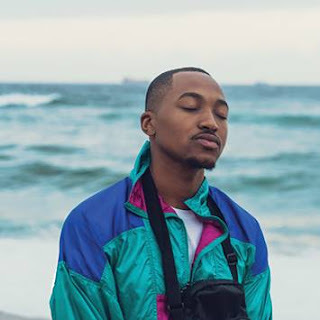 Mama Said has hosted the likes of Dorothy Masuka, Thandiswa Mazwai, Kabomo, Lilian Dube, Ringo Madlingozi, Nomsa Manaka, JahSeed, Sibongile Khumalo, Pops Mohammed, Wanda Baloyi, Ntando, Letta Mbulu, Brickz, Gloria Bosman, Nothende, Abigail Kubheka, Moshidi Motshega, Sello Maake ka Ncube, MXO and Joe Nina in the previous editions. Date: Sunday 31 March 2013 - 15h00 (doors open 14h30). Venue: Joburg Promusica Basement Theatre 100 Christiaan De Wet Drive, Florida Park, Roodepoort.